In my work with leadership teams, I have three distinct roles: teacher, coach, and facilitator. I am a teacher, in that I teach an operational system that helps leaders improve communication, accountability, performance, and results. I’m a coach, in that I hold the team and each of its members accountable to keep the promises they make to themselves, to each other, and to me in using the system until it becomes second-nature. Being a good facilitator is the hardest of these three roles, but it’s the most important because effective facilitation is critical to getting your team’s buy-in on any issue. 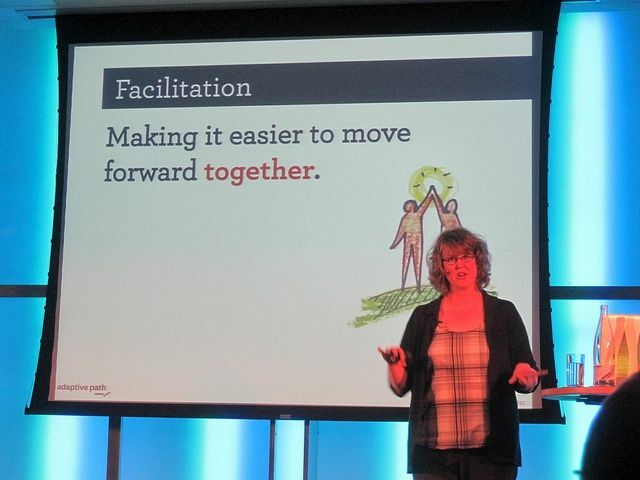 In its Latin root, to facilitate is to “make easy;” so facilitation is “the act of making something easier.” While facilitating is crucial to getting your team’s buy-in, the actof facilitating is anything but easy! Teams by their very nature are made up of diverse personalities - dominant ones, quiet ones, polite ones, cantankerous ones, etc. Getting them all to get along, to listen to one another, and forgive one another for past sins is a tough job. It’s even harder to get them to make decisions that will benefit the greater good of the entire company, even if it is against their own or their department’s interests. And finally, to buy into the final decision, even if they disagree is both a skill and art. There are two keys to being a good facilitator: you must be content neutral and, at the same time, a process advocate. Content neutral. When I facilitate, I strive religiously not to take a position or even get excited at all about the subject being discussed. Now, the leaders usually care very deeply, and frequently DO get excited -- and often emotional. When something is extremely important to you, this is quite normal. So someone deeply involved in the business, or emotionally involved in the decision at hand, can rarely facilitate a dispassionate discussion of that issue. That’s where an outside facilitator earns his or her stripes. Process advocate.This is best defined in Facilitator’s Guide to Participatory Decision Making as “advocating for fair, inclusive, and open processes that would balance participation and improve productivity while establishing a safe psychological space in which all group members could fully participate.” This means making the ground rules of a discussion clear and to watch and listen carefully to make the discussion a safe place for this to be accomplished. If it is not, quickly people will shut down and stop participating. As a leader, you must develop the skill of facilitation and use it in every interaction with your team members. It is the only way to get people with different ideas and opinions to come together in support of any initiative.